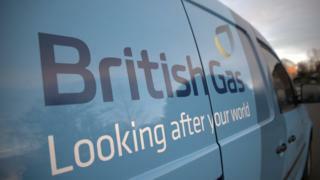 British Gas owner Centrica said its profit this year will be hit by the energy regulator's tariff price cap. The company reported a 12% rise in annual group operating profits to £1.39bn for 2018, but described its performance as "mixed". "We have been very clear that we do not believe a price cap is a sustainable solution for the market," Centrica said. The company also said it plans to sell more businesses this year. The company's shares closed nearly 12% lower on Thursday. Ian Forrest, investment research analyst at The Share Centre, said the share price drop "is hardly surprising given the warning on cash flow comes on top of pressures from the energy bill cap and lower than expected income from the company's share in EDF's nuclear reactors. "All of that combines to raise a big question mark over this year's dividend payments, and possibly those in future years as well." The new energy price cap came into force on 1 January. Ofgem has estimated that the cap will save 11 million people an average of £76 a year. But Centrica said on Thursday that regulator Ofgem's tariff cap "is likely to have unintended consequences for customers and competition". Typically, the cap means that typical usage by a dual-fuel customer paying by direct debit will cost no more than £1,137 a year. Consumer organisations say that people could save more by switching supplier. Centrica also said Spirit Energy gas exploration business and nuclear business produced "disappointing" results. The company will sell Clockwork Inc, a North American plumbing and electrician franchise business, for $300m (£230m) after a slow recovery in its business on the continent. It will sell £500m of businesses this year, it said, including Clockwork. It lost 742,000 energy supply accounts, it said, a decline of 6%, to 12.1 million accounts. Part of the reason for British Gas losing customers is that it rarely appears among the cheapest deals on price comparison websites when customers look to switch suppliers. Many of the cheapest deals are offered by the smallest suppliers, owing in part to the fact that these firms do not have to pay the green taxes levied on the medium and large companies. Centrica is mounting a legal challenge against the price cap, arguing it has not been calculated fairly. The energy provider said it would apply for a judicial review against the regulator Ofgem, saying it had set the threshold too low. Iain Conn, Centrica's chief executive, told the BBC's Today programme on Radio 4 that there would be a £300m hit to its profits, reducing its UK consumer energy business profits by about two thirds. It would mean UK consumer energy would go from being about a third of Centrica's profits to less than 15%. "If we do nothing about it they would be down by £300m," he said. "We have not been supportive of price controls in a free market." The regulator has said it would defend its proposals "robustly". Ofgem proposed a cap on energy bills in September, following concerns that consumers were not getting best value for money from suppliers' default rates, or standard variable tariffs (SVT).